Packaging plays essential roles marketing and merchandising products across the entire retail spectrum. Package choices can literally mean the difference between brisk sales and stunted turnover, so the stakes are high for manufacturers, producers, retailers, and contract packaging professionals. And since each product has unique packaging requirements, success ultimately results from a carefully measured custom approach, accounting for a wide range of concerns. Each packaging project presents its own challenges, but they all share the mutual goal of creating stand-out shelf presence that moves units out the door. Truly exceptional packaging strikes many notes, simultaneously incorporating adequate product protection, appealing consumer features and brand identifiers. Forward thinking packagers use all the tools at their disposal – from advanced materials to highly automated production methods – creating distinctive designs that add value to the products they contain. Each year, the Dieline Awards recognize exceptional packaging designs, bestowing honors on a few dozen worthy standouts. Esteemed judges evaluate each packaging design using three main qualifiers – creativity, marketability and innovation. Another packaging design competition called Pentawards recognizes the same criteria, but also adds branding and quality of execution to their evaluations of distinctive package designs. In practice, these and other concerns are among those addressed by competent packaging professionals, who work with their partners to create exceptional, distinctive – even one-of-a-kind packaging designs. Packages are practical solutions used to transport, market, and store consumer products. 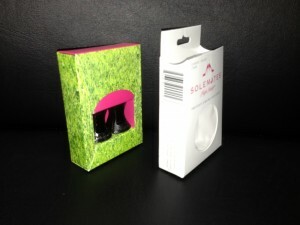 Each item to be packaged has unique protection and preservation requirements, so there are a wide range of packaging approaches available for retail presentation. Food items, in particular, require safe handling and must meet established standards throughout the supply chain. Since cost is a major concern for producers, packaging must also reflect value without sacrificing key functional elements. An exceptional package incorporates needed product security into small, easy-to-handle packaging that is efficient to transport and display. In addition to providing protection, packages play the dual role of merchandisers, tasked with attracting attention and stimulating sales. 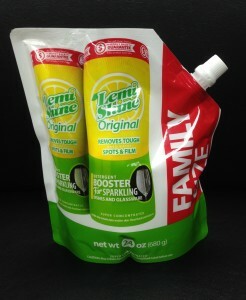 It is a tall order, but exceptional packaging must make an impression with shoppers, or turns will not be satisfactory. Creative combinations draw from several design elements to create lasting impressions with shoppers. Texture – A powerful, yet oft overlooked tool for capturing public attention. Texture related to particular products helps set them apart, like spray-can lids with representative samples of the textured paint the cans contain. Color – Brand identity often links to a color scheme, so packaging laden with consistent colors and design themes creates lasting brand awareness and helps cross-merchandise other line items. Graphics – Printing technology now enables clear graphics to be transferred to nearly any surface. As a result, print plays a key role in modern package merchandising. Images – True life imagery is not the best approach for every package, but when a personal connection warrants visual reinforcement, brands successfully turn to photography for help. Shape – Innovative package designs have successfully linked brand identity to a particular shape, creating lasting associations among consumers. Making an impression is a good start, but prolonged success relies on deeper associations between memorable packages and the positive experience of doing business with your brand. For starters, graphics and other features should be original, so there is no mistaking the positive power of your brand. And messages should be clear and consistent, creating expectations that set you apart from competitors operating in the same niche. For some producers, this means playful packaging, like juice boxes resembling pieces of fruit. While other campaigns use simplicity as a brand signature, offering pared-down packages with clean lines and limited printing. Packaging reflects consumers’ values, so leading contract packagers promote designs the public will embrace. Today, consumers are tuned-in to responsible production and sustainable practices, so producers also take note. Recyclable and biodegradable packaging are well-established, but today’s green consciousness goes beyond these standards, advocating packaging solutions that use less material and serve multiple reusable needs. In addition to materials; logistics and packaging practices are also under scrutiny from eco-conscious citizens. For dedicated ecologists, spending is guided toward companies most closely aligned with their own values, like a renewable, sustainable approach and local food sourcing. Objective measures furnish a snapshot of successful packaging practices, but in the end, each company is best prepared to evaluate efficacy. Does packaging speak to the correct market, stirring sales within the targeted demographic groups? Is food packaged in certified facilities, according to established regulatory standards? Are turnaround times sufficient to meet demand? Answering these and other important questions ensures packaging campaigns stay on track, meeting the needs of each client partner. To that end, seamless communication and dedicated project managers reinforce relationships between producers and packagers, leading to exceptional package designs born of effective collaboration. Consumers seek-out the items inside, rather than their protective packages, but that doesn’t reduce the value of effective packaging. Shelf impact, for example, measures the presence products create in retail displays. Well-executed package designs actually add value by way of attractive presentations, but exceptional packages serve other functions, as well. Security is enhanced by some thoughtful designs, for example, either discouraging pilfering or incorporating physical features to deter theft. Enhanced functionality adds value too, like packages capable of dispensing single servings or measuring individual doses. Reusable containers are also perceived as practical packaging alternatives by consumers who gravitate toward designs with multiple uses. Packages are designed to protect their contents and help sell units. While these primary functions drive most packaging projects, there are various ways to get the job done. Exceptional packaging design not only keeps goods safe as they move through the supply chain, but it reinforces marketing goals and helps form brand identity. Using creative design elements, packaging providers continually balance form and function, devising unique solutions for goods in every retail category. Their specialized output blends elements of art, marketing, sales and other disciplines to produce exceptional designs.